Find out more about our complimentary services. Click Here for more. 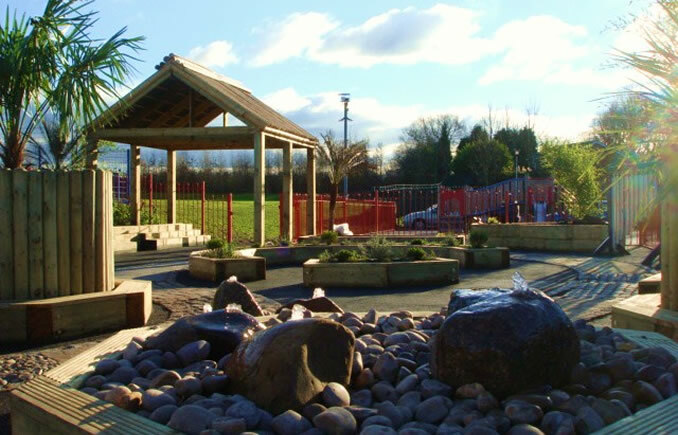 The majority of our design and construction work in educational establishments involves the development of playgrounds and learning environments. Indeed, the company’s work in this area is the most rapidly expanding part of the business and we have recently teamed up with Kompan – the world’s leading specialist in playground solutions – so as to complement their years of experience with our own unique approach. The key to building an outdoor space which is utilisable by all children lies in an extremely rigorous design process and continuous client liaison throughout the construction process. We constantly check that all features will fulfil their function and, in safe conditions, bring children out to the site to check that features are appropriately sized and shaped. 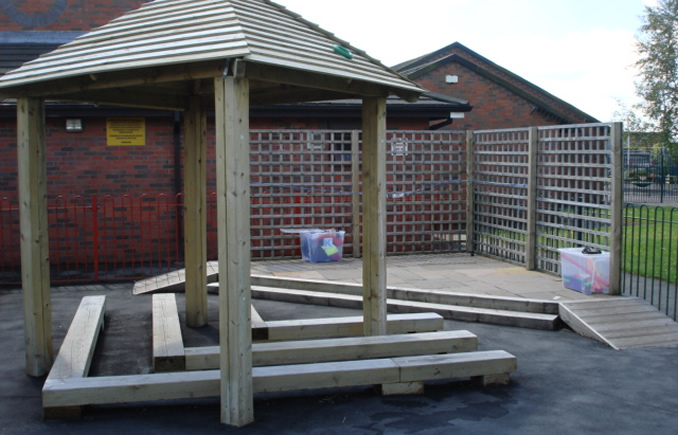 General play spaces with a variety of structures and facilities designed to encourage traditional creative play. 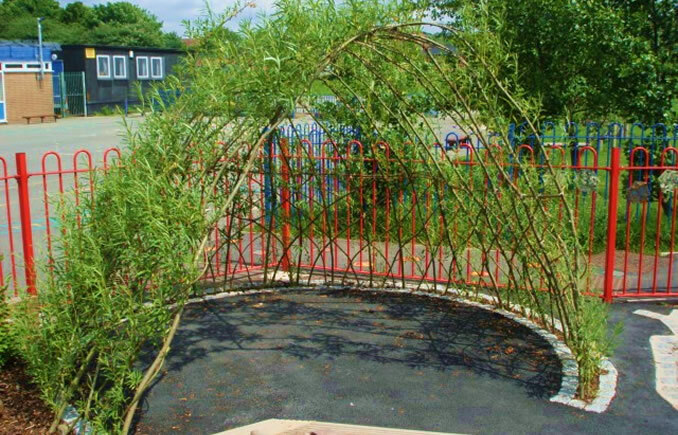 Nature zones incorporating features such as native plants, log piles, compost heaps and long grass which can be used as both teaching aids and areas for exploratory play. 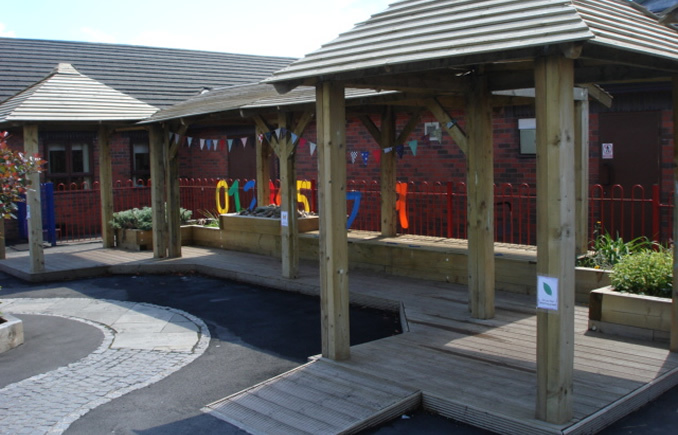 Formal teaching areas incorporating seating which can be used to bring lessons outside. The benefit of using Lancashire Landscapes is that we can undertake the whole process from client liaison and initial design through to construction, ensuring that the finished product exactly meets the client’s requirements. We can then maintain an interest by performing regular maintenance to ensure that the outdoor space continues to perform for years to come.